It’s Wednesday Word day and today’s dog term is “gay tail.” With a vast array of dog breeds populating the planet, there are many different dogs blessed with different types of tails. Tail carriage refers to the way dogs carry their tails and tail set refers to the placement of the tail. The way a tail is carried may therefore be a matter of anatomy or temperament or even both. Knowing the typical way dogs tend to carry their tails can help us understand them better. For instance, certain dog breeds like the Italian greyhound or whippet tend to carry their tails low naturally, and sometimes these dogs may give the impression of acting fearful when it’s just their normal clamped-down posture. No, just in case you were wondering, a gay tail has nothing to do with your dog’s sexual preferences. Instead, as the term may imply (we’re talking happiness here), a gay tail is a tail that is carried high, but in this case, it’s carried very high, often arching upwards. According to The Kennel Club, a gay tail is a tail that’s carried higher than what the breed standard approves. The American Kennel Club instead describes it as ” a tail that is carried above the horizontal level of the back.” This may sound like a fault, but it really depends on which dog breed you’re talking about. In certain breeds, a gay tail may actually be desirable and it may even be mentioned in the standard. In other breeds it may be frowned upon and sometimes even considered a serious fault. Did you know? In several small working terriers the tail functioned as a “handle” should the dog need to be extracted from a hole in an emergency situation. 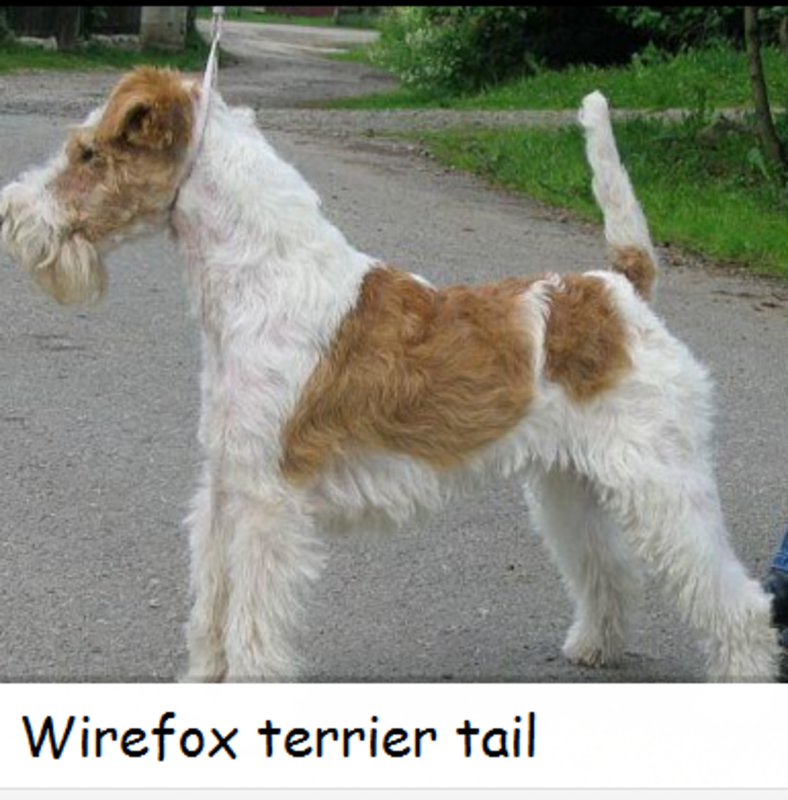 According to the New Zealand Kennel Club in the wirefox terrier “a tee-quarters dock is about right – since it affords the only safe grip when handling working Terriers.” This explains why at some dog shows handlers are sometimes seen lifting certain terrier dogs up partially by the tail. An eagerness for fame and make money in the show ring can sometimes reach certain unethical levels. 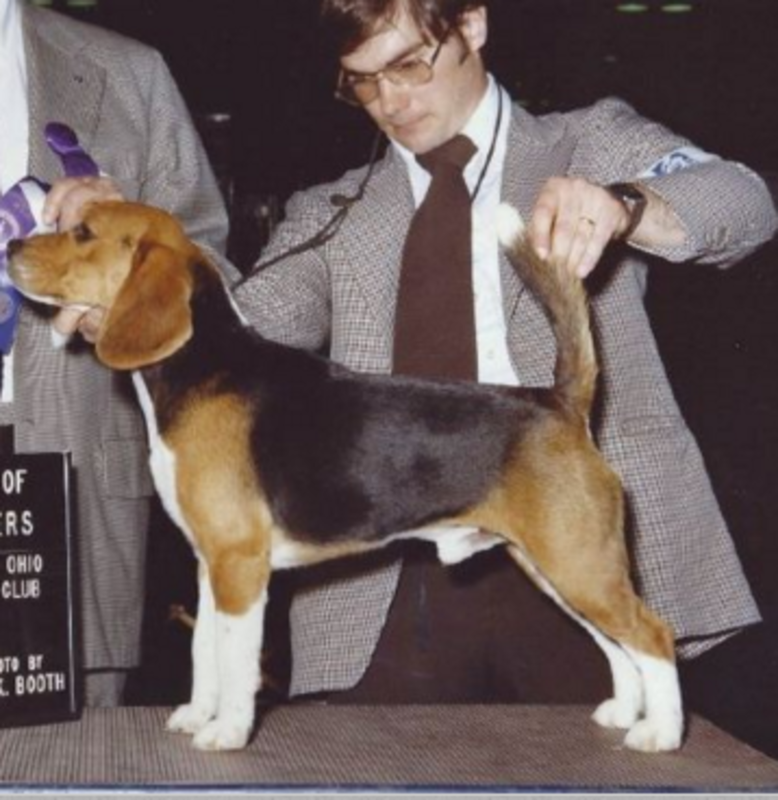 There are stories of handlers resorting to surgery to fix a gay tail so to be able to compete and possibly win in the show ring. Caroline Coile in her book “Show me, A Dog Showing Primer” talks about unscrupulous people who purposely have the ligament of their dog’s tail cut so that the tail is carried according to standard. Did you know? In some cases, a “gay tail” may just be a matter of habit rather than anatomy. 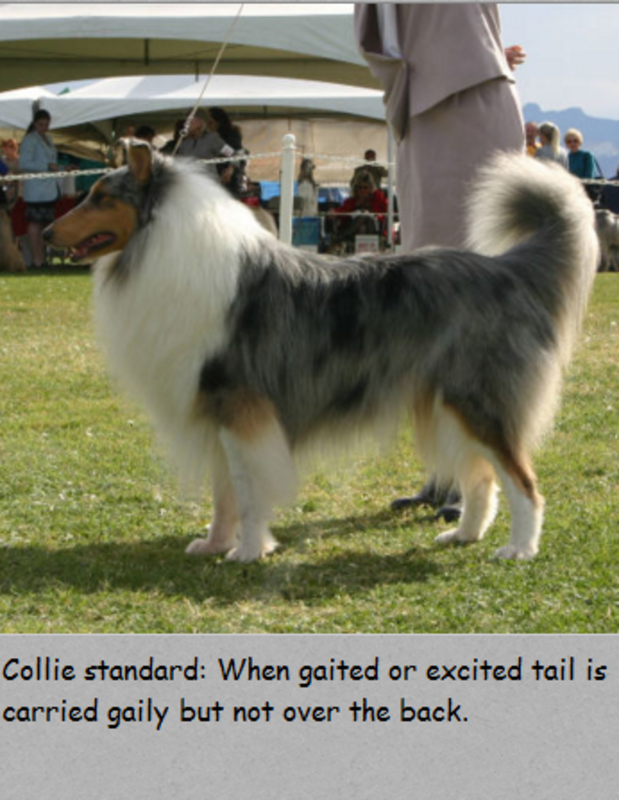 These are basically dogs who have normal conformation for the breed, but in the show ring they carry their tails too high. Some people have succeeded in training their dogs to carry their tail low using a clicker. World-known trainer and author Karen Pryor, mentions clicker training as a method to train dogs to carry their tails in a certain way on her Clicker Training website. A dog can be clicker trained to hold the tail in a certain position when asked to stand, but things can get a tad bit complicated when a dog carries a tail high and curled over the back during trotting. However, for those willing to try, Karen Pryor offers a guide on how to shape “lower your tail” and “raise your tail” making the dog conscious about his tail movement! The power of clicker training!